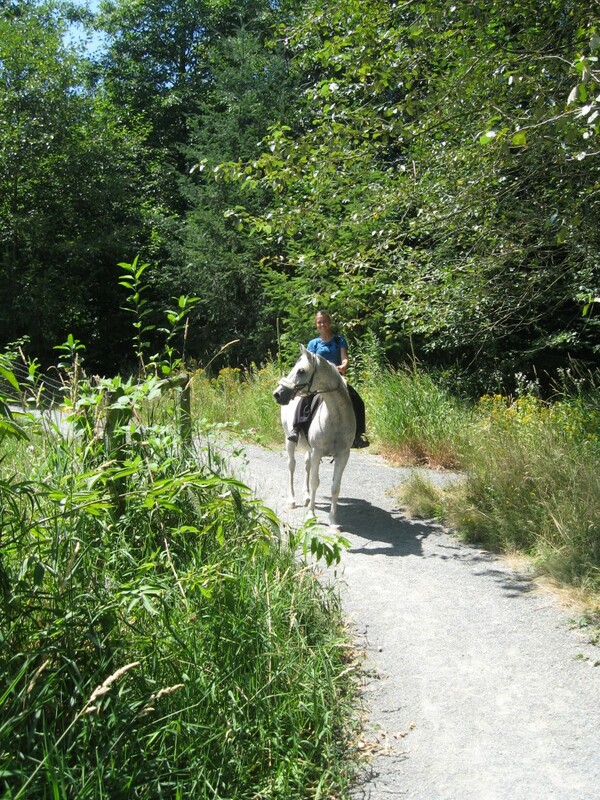 We cannot predict when an emergency may occur when riding a horse. The emergency could occur in the first mile or 20th mile. The following general tips are intended for riders regardless of the length or duration of the planned ride. -Inform someone of your planned trip, destination and duration. -Carry a cell phone, quart of water, first aid kit, whistle, watch, compass, map and or GPS, flashlight, knife (preferably a leather man type tool), cigarette lighter, bug spray, sun protection, snacks, medicines for pain or allergies (medicines should be in water proof containers pre-measured for each day, have a list of your medications and any medical conditions written down and available in case of an emergency. Have environmentally friendly toilet paper. Most of these items will fit into a fanny or side pack. -Dress appropriately for the expected weather. Carry clothing suitable for weather changes, rain gear, boots, sweatshirt, coat, gloves etc. -Bridle/halter combination with reins that unsnap to be used as a lead line or carry a halter and lead line. Place your telephone #/address on headstall. -Carry an Easy Boot, hoof pick, strong string, hobbles if horse trained to wear them, electrolytes, Banamine, sponge with string, snacks, bandages. -Make sure the horse is physically conditioned and booted for the ride. -Hobbles are great for letting the horse eat during breaks. Train at home before EVER trying hobbling on the trail! 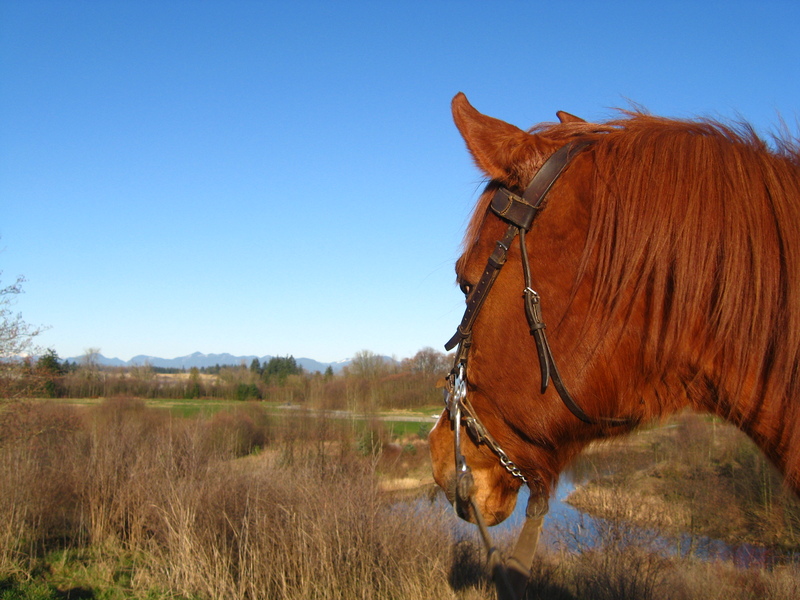 -Learn which plants are poisonous to horses. Some in our area include Yew, Laurel, Rhododendron, and Water Hemlock etc. -Know your route-plan route in advance. Have map, compass or GPS (know how to use them). Plan ahead in case you become lost. -Rule 1 in flight school is to trust your instruments. Rule 1 in land navigation is to go back “Go back” to your last known location and reorient -yourself. Rule 1 in Driver’s Education is to keep your eye on the road (in this case the trail). -If following a trail marked by ribbons or signs go back to the last ribbon or sign. You may have to retrace your steps to the start point. Do not be like Moses and wonder around for 40 years lost.